How to Make a Website and Host It?How to Make a Website and Host It? How to Make a Website and Host It? Can you imagine a world where creating and hosting a website is a piece of cake? 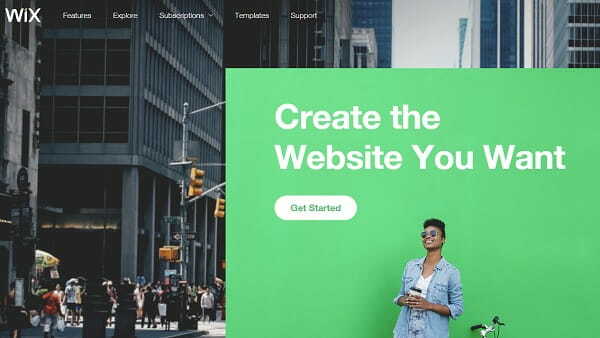 Website building platform brings this simple idea to life. Although the World Wide Web can hide several obstacles for bloggers, companies, freelancers and other site owners, modern web building software is aimed at putting an ease on the process of creating, publishing and going live. Website builders have turned the global net into a more democratic environment whether you want to create a professional portfolio, blog, corporate site or digital store. All you need is to choose a platform that meets your expectations when it comes to prices, reliability, bandwidth and other important aspects. In this article, we will review all the steps and issues related to building and hosting a website using leading web building tools. How to Get a Website Ready to Host? The original process of hosting a website requires several vital steps. Besides designing a website, you also need to register a unique domain name. Then you have to find a reliable hosting provider with a plan and prices that meet your requirement. The last stage is to connect the domain name and get it to your hosting. Publish and Host Your Website – after you are done with designing your website, you can publish it with just a click. The platform provided free hosting as well as its maintenance and support. As a result, no need to handle the maintenance. No need to surf the net in search of hosting companies on the web. You get all services and tools in one place. It saves time and money. Website builders come as an ultimate solution for beginners. All you need is to choose a proper platform that meets your requirements. We have reviewed plenty of offers on the web and sorted out two best tools. Let’s have a closer look at their hosting features. Wix delivers its own web hosting facilities to its users. The website builder runs in your browser. For this reason, you do not need to download or install additional software. Simply sign in, design your website and go live with it. The platform has a free plan that includes 500MB of storage in addition to 1GB of bandwidth. Your website will run on a third-level Wix domain name in case you do not have one. The problem can be solved with any of the paid Wix plans. They provide a free domain for one year with further paid prolongation. The price is fixed for all plans despite the plan you choose. Unlimited, E-Commerce and VIP plans offer an unlimited bandwidth and storage from 10 to 20GB. It sounds great for sites with a complex structure and plenty of files to be downloaded in future. A Combo plan looks like a flexible solution for those who do not require enormous storage and bandwidth (2 and 3GB respectively). An unlimited storage space is probably the main uKit advantage when it comes to hosting a website. Each plan offers an unlimited number of pages, storage, and bandwidth. Moreover, the platform features a specific algorithm that automatically optimizes user’s media files like photos and images. This function results in faster loading speed and smoother website performance without ruining the web page performance while the general characteristics and settings remain the same. A better loading speed may have a positive impact on the search engine ranking factors. Moreover, uKit has an award-winning feature that lets site owners enhance the mobile experience. You can now check how your website looks like on smartphones and tablets. You can edit its mobile appearance, remove or hide unnecessary blocks, change background and more for an outstanding mobile representation. How do I Host a Website that I Made? Finally, you are done with the website design. It is high time you published it to let people see it online. This is where you need to choose a proper plan with suitable hosting facilities. The choice will mostly depend on the type of website you have, its complexity, features, structure and the number of files you are going to download. Determine the type of website to have a clear vision of its future functionality. It will let you decide on necessary storage space and bandwidth. Blogs and portfolios do not require massive hosting facilities. It means you will hardly need a premium plan with an unlimited storage unless you are about to publish a more complex site. Understand the resources you need. Imagine that you are running a digital store. You would probably like to have some extra features included in your plan like e-commerce tools, email accounts and unlimited bandwidth for a faster website downloading speed. As a rule, all those features are included in a separate E-commerce or VIP plan. Security and Support. Some platforms offer individual customer support when it comes to VIP plans. On the other hand, website builders are very easy to use unless your site features a complicated structure. On the other hand, free trials and plans will let you understand if you can handle the building process or not. Dream big. Unlike traditional hosting providers, website builders reserve enough space for the website growth. They are not concentrated solely on shared hosting and deliver flexible software options out of the box. How Will My Website Look Like on The Web? Website builders appear to be a timesaving instrument for beginners. You do not need to search for an unoccupied domain name and connect it with your site. Web building platforms offer a free 3-level domain name if you do not have your own. But this is a temporary solution. On the other hand, you certainly want your site to look more professional and trustworthy, don’t you? Especially when it comes to the company’s sites. Digital shops and professional portfolios. For this reason, opting for a SLD (second level domain) looks like a better idea. It will let you build a better reputation for the website and stand out from one-day dummy sites that specialize mainly in spamming and fraud. A SLD will create a good representation and site’s look on the global web. Moreover, you can connect with your current website at any time. Website builders are certainly an easier path to create a site from scratch and host it. They prevent you from wasting hours on looking for a trusted hosting provider. You do not need to spend extra money on a domain name although you might want to use TLD in future for a better website representation. Users can choose from various characteristics as well as bandwidth and storage space depending on their website needs. They do not need to handle hosting maintenance and support. 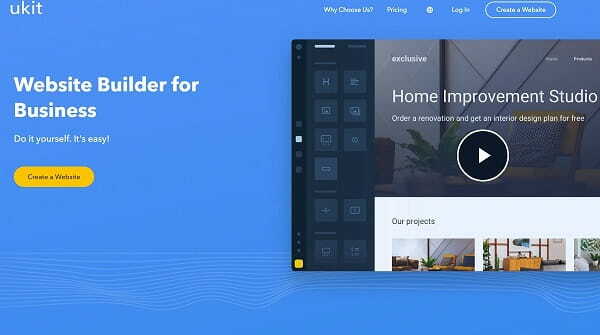 Website builders appear to be an all-in-one solution to go live with just a click of a button. Home » Helpful Tips » How to Make a Website and Host It?